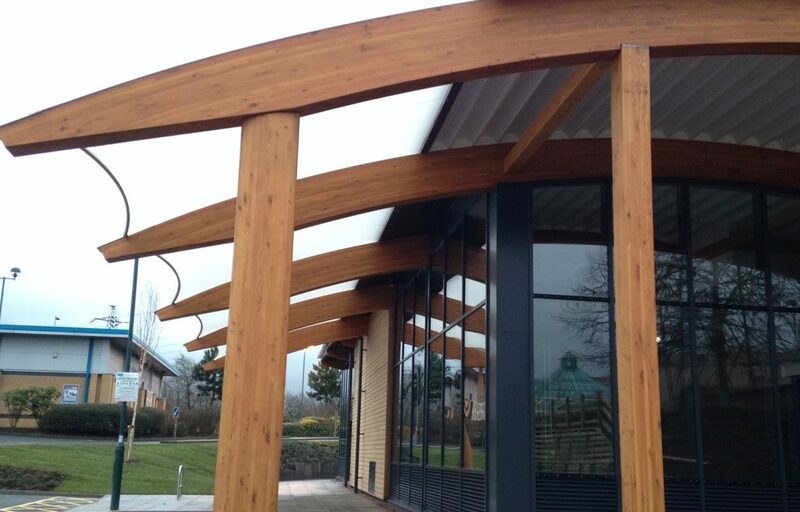 Zero Energy retail building for nation’s favourite coffee-house chain. 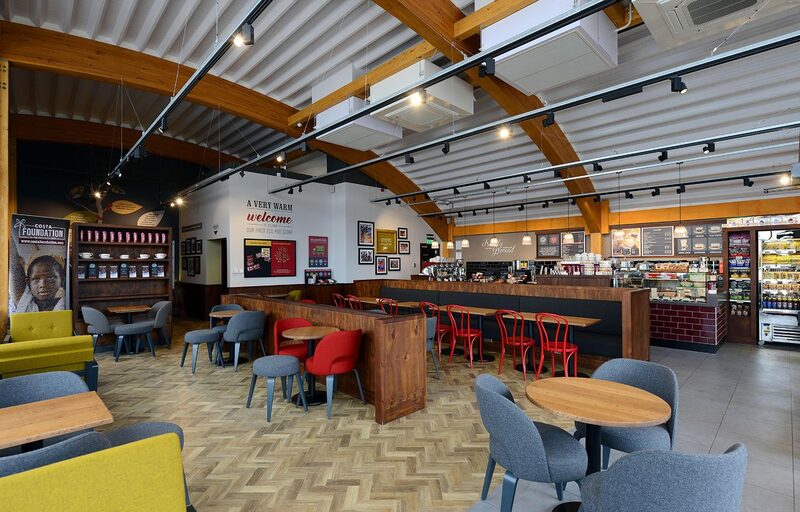 Fordingbridge are delighted with their involvement as part of the project team delivering the first ‘Zero Energy’ retail building for the nation’s favourite coffeehouse chain – Costa Coffee. 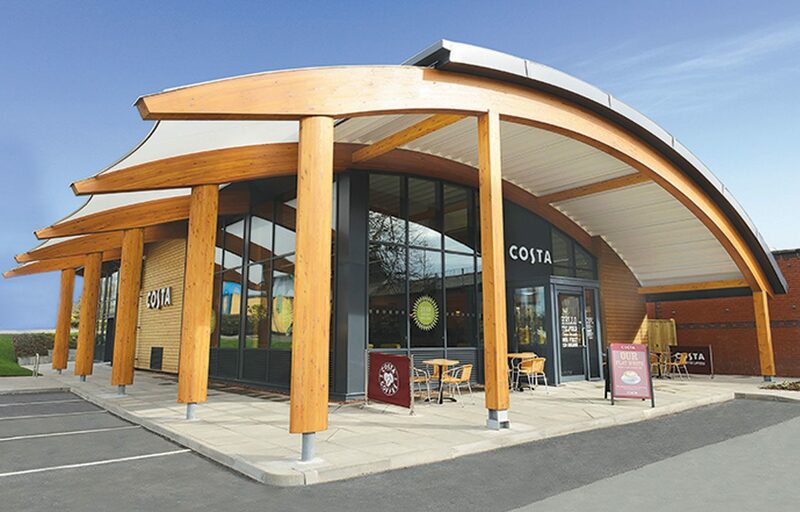 The building design ensures that the coffee shop achieves a net zero energy rating, a first for a retail coffee outlet in the UK, and is situated in Telford, Shropshire. The new curved roof structure, echoing the design of The Greenpower Centre, will contribute towards Costa’s objective of consistently reducing energy usage in new stores and reducing the organisations impact on the environment as a whole. An FSC and PEFC accredited Glulaminated timber frame, with controlled material planting rates to ensure growth exceeds harvested quantities. Intelligent building orientation optimising the sun’s capacity for daylight and heat gain, saving considerable energy costs during retail hours. Photovoltaic solar panels that ensure a clean, sustainable energy source for all appliances. Underfloor heating and passive ventilation technologies assuring an optimised internal temperature is gained from natural resources.